London-based DJ, Producer & Promoter. A music lover of all types, with a background in Bass music stemming from Dub Reggae & Drum N Bass, now spinning all the way to Rare Grooves, Funk & Disco and everything in between. 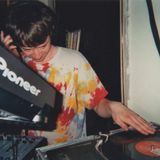 Founding member of Different People (facebook.com/dfrntppl), Curator of The Vinyl Chronicles (vinyl-chronicles.tumblr.com), Part of Stacks Of Wax (https://www.facebook.com/stacksofwaxuk).